I have added high quality additions to the Season Two promotional shoot albums in our photo archive. Thanks to my friend Renee from katdennings.net for donating these to our site! If you have any images of Hugh from the wrap party and would like to donate them to Hugh-Dancy.net, you can do so by sending us an email with your name, link for credit and a zip or link to the images. Thank you! I have added two high quality additions to the season two promotional shoot for Hannibal. Thank you to farfarawaysite.com for the images. I have added captures from [2×06] Futamono to our photo archive. 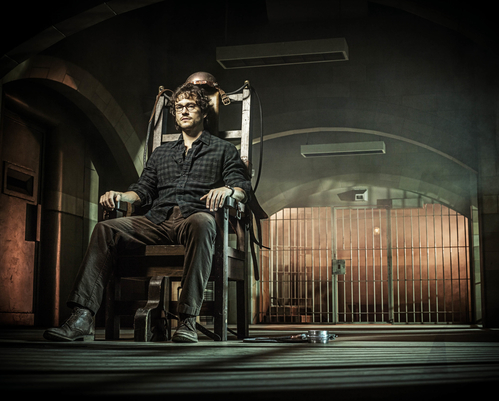 I have added high quality episode stills of Hugh in episode 7 of Hannibal season 2. Thanks to farfarawaysite.net for the images! Bryan Fuller tweeted an image earlier of Hugh on set of Hannibal Season Two confirming that Hugh has now wrapped filming for his scenes as Will Graham for season two. The image can also be found in our gallery here. I have added captures from [2×05] Mukozuke to our photo archive. I have added behind the scenes images from 2×05 Mukozuke to our photo archive. 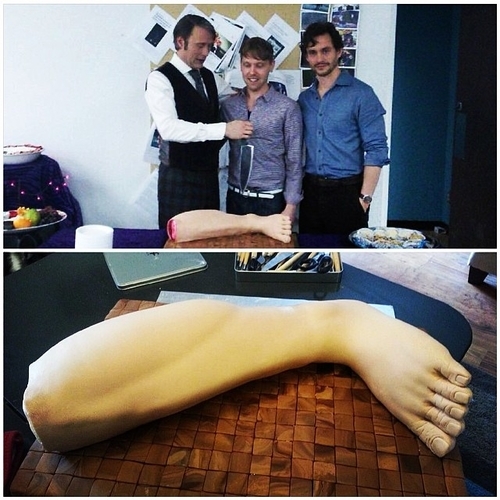 All tweeted by BryanFuller, LorettaRamos, DeLaurentiisCo and neoprod. See full feed here. I have also added two images of Mask Concepts tweeted by BryanFuller and an additional episode still from 2×05 (thanks to farfarawaysite.com). I have added additional images to season two (episode stills and behind the scenes images). Thanks to farfarawaysite.com, @bryanfuller and @neoprod for these! I have added additional images from the season two promotional shoot of Hannibal to our photo archive. Thanks to farfarawaysite.com for these!